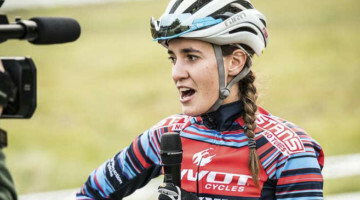 By now, we all know the results of the 2013 Cyclocross National Championships, but what cyclocross dorks like us like to do is look at the race within the race: Lap times and split times. Being able to analyze the performance, consistency and speed of a rider is one of the awesome benefits of electronic timing, even if it’s not perfect or complete, as in the case of the data below (USA Cycling data duplicates one lap, and is missing the first lap plus the starting straight times). Racers, in the case of Danny Summerhill’s situation, might even use such data to make a case for “what could have been” had he not had a flat tire or mechanical, in his hopes for a Worlds Team selection (see the official 2013 USA World Championship team roster here). One clear conclusion after looking at the times is that consistency is key to a top result, even if consistency doesn’t guarantee a top result. 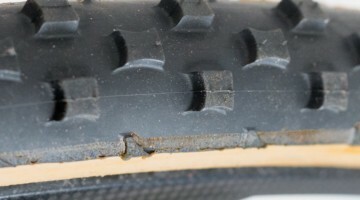 Consistent lap times often reveals not just consistent pacing, but a lack of mechanicals and crashes. 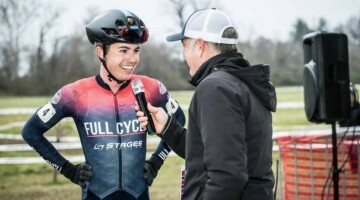 In the 2013 Elite Men’s National Championships race, Jonathan Page had great legs on the day and was clearly happy with his win, despite saying in our video interview that it wasn’t the best race of his life. A look at the lap times below shows his speed, and for at least four of the seven full laps (2, 4, 5, 7), Page clocked the fastest lap times, which shouldn’t be surprising given that he won. What is surprising is how consistent Page was in his lap times, varying them only by nine seconds for all six laps we have data for. That’s just 1.8%! That was by far the most consistent performance of the day of the Elite Men. Spencer Paxon, in 17th place was second most consistent with a 14 second variance in his times, and bronze medalist Jamey Driscoll was next with lap times that varied by just 16 seconds. Ignoring the last lap, when racers often sit up knowing their position is secure, or that a podium or goal is secure or out of sight, Page remains the most consistent, with Driscoll (11 seconds) second and then Zach McDonald and Powers tied for third most consistent (12 seconds variance). Interesting for us journalist types, especially when reflecting on our own reporting of the race, is that strong late race performances are often just a result of consistent lap times, while others are fading or sitting up, not a late-race burst of speed. 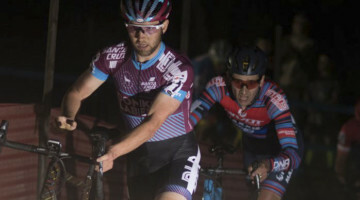 In the case of Jeremy Powers, who moved up dramatically through the field after being well back after two laps, it was just those consistent lap times, averaging 8:44, that had him passing racers like Ryan Trebon, Jeremy Durrin, and Justin Lindine to close in on sixth place. Barry Wicks and Troy Wells also had similar consistent lap times and landed top ten finishes. Lap times also can be painful reminders of “what could have been.” In Danny Summerhill’s case, after a blazing fast start that saw Summerhill in the lead on lap one (lap one times are missing), a flat tire and rear wheel mechanical slowed him down, but lap times show that his early race speed wasn’t a fluke. Summerhill clocked the fastest times on laps five and six, and second fastest final lap, and clearly was on great form. 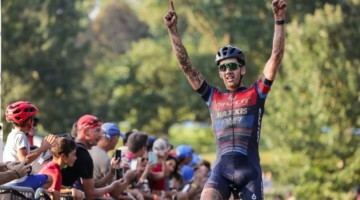 Prior to Nationals, Summerhill switched to United Health care and told Cyclocross Magazine he hoped they’d keep his 2013 Worlds ambitions in mind in planning his 2013 season. Looking at lap times, he certainly has a case that his form justifies a Worlds team selection. The biggest variance in lap times belongs to Ryan Trebon, who stopped to take “a little break in the pits and used a screw driver to try and chisel some out [ice] for the last 2 laps” according to his Tweet, had a lengthy 10:01 lap time as a result, giving him a 1:33 variance in lap times. Sort all finisher’s lap times per lap in the table below (may not work on mobile phones). All starter lap times are in the bottom table. Stay tuned as we bring you a look at the women’s lap times. 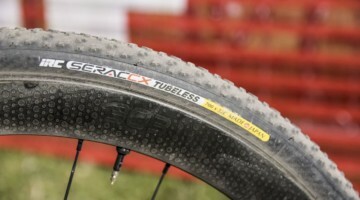 Update: View the full 2013 USA Cyclocross World Championship team for Louisville just announced. @mjc_1970 Good comments. 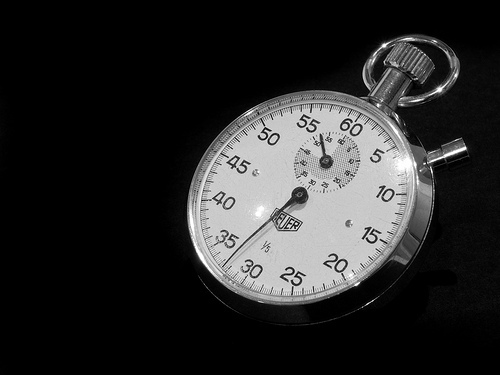 Finish times are one criteria, but the discretionary picks, are just that, no clear formula, but judgement. Not a bad thing, but not just based on nats finish times (as we can see with the women’s team). So many deserving riders it’s hard to please everyone. Page is like a stop-watch! Tough for Trebon- he was slamming his cleats from course inspection.